This is a short introduction to where manuka honey comes from and what makes it so special compared to other honeys. Manuka honey comes from bees that feed on nectar from the flowers of Manuka (Leptospermum scoparium). Manuka is a scrub-type tree native to New Zealand and parts of Australia and only flowers for about 4 months of the year, making for a short and intense harvest season. Manuka honey has a wonderfully unique taste. It has a rich flavor profile with herbal notes and a slightly bitter quality. Its dark bronze color and thick, somewhat granular texture help to distinguish from other honeys. Many different honeys have these qualities but manuka honey has antibacterial qualities above that of regular honey. Why is Manuka Honey Special? For thousands of years, all kinds of honey were used as a medical treatment before antibiotics became common. All honey (particularly raw honey) can have antibacterial activity due to hydrogen peroxide that occurs naturally in honey. So, what makes Manuka so special? Researchers from the New Zealand University of Waikato discovered in 1981 that even after the hydrogen peroxide in Manuka honey was neutralized, it still exhibited strong antibacterial activity. 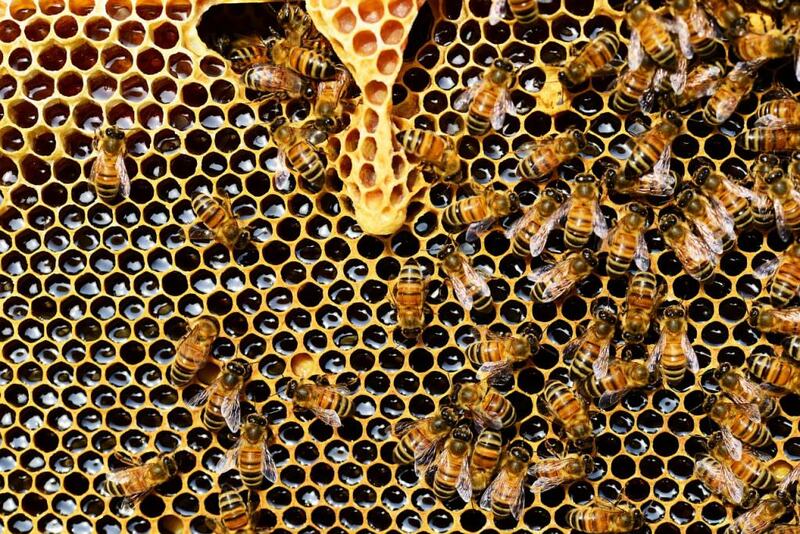 This antibacterial activity, referred to as as non-peroxide activity (NPA), is unique to Manuka honey and is why it’s so highly prized. Hydrogen peroxide degrades quickly in the human body or when exposed to open wounds. Manuka’s non-peroxide activity does not degrade like hydrogen peroxide, making it significantly more effective for medicinal use. It took several decades, but researchers eventually realized that not all Manuka honey has NPA. Methylglyoxal (MGO) is the organically occurring compound in Manuka honey that is primarily responsible for its unique antibacterial activity. While MGO can occur in trace amounts in all honey, Manuka honey is comparatively rich in MGO. In fact, researchers in 2008 found that Manuka honey can have 100 times the MGO of regular honey. Low quality Manuka honey has about the same levels of MGO as regular honey. This means it does not have the potent antibacterial activity that Manuka honey is famous for. To avoid low quality Manuka honey, we recommend only buying honey under the UMF Manuka honey or MGS Manuka honey grading systems. These are two internationally recognized grading systems for Manuka honey that independently verify the quality of their honey. You can read more about them in our article comparing UMF Manuka honey to other popular grading systems. If you’re looking for good quality manuka honey, you should definitely do your research and make sure you’re buying from a reputable company. There are plenty of low quality manuka honeys on the market masquerading as the real deal. If you don’t have the time to research or just want an informed recommendation, you can check out our guide that shares our recommendations for the best manuka honeys and brands.